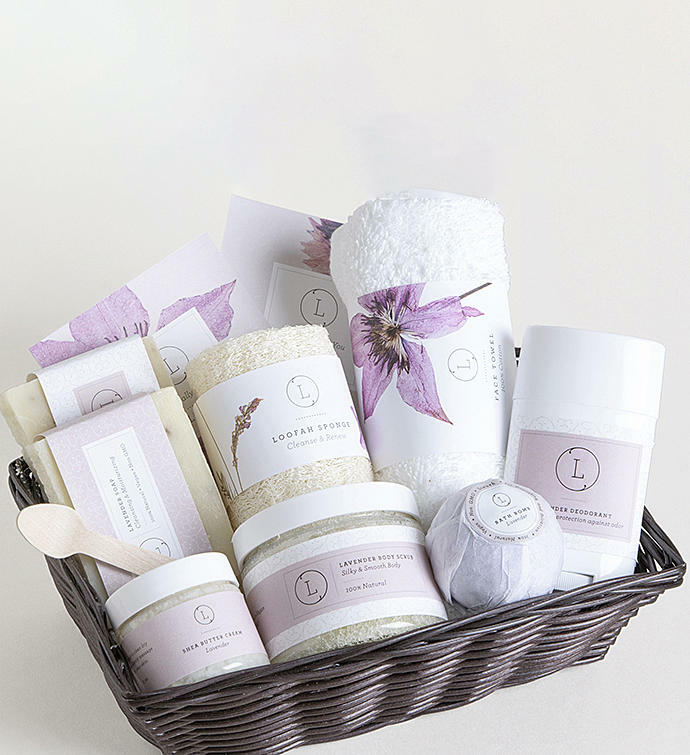 Spoil them with the Lavender Gift Basket! Pamper them with calming scents. This gift arrives in a beautiful gift basket and can be sent with a personal note on an elegant note card.